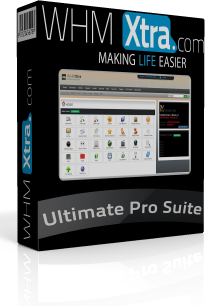 Turbo charge your WHM with Xtra Ultimate Pro Suite which adds over 160+ tools to WHM and cPanel, all of which can save you hours of time and tons of money when it comes to securing, repairing and managing your server. It’s perfect for the single user new to servers or even an experienced admin who wants to save time and get things done quickly. Datacenters like SingleHop and Hostdime also provide Xtra to their clients to save techs time for more serious issues. Works on any server with WHM/cPanel and installs with a single command! FUlly compliant with cPanels new AppConfig. Xtra can install FFMPEG, firewalls, ddos protection, clone your server config, search for illegal files or processes, monitor your server and much much more. Browse the entire server filesystem via one of our built in file managers, upload/download files, create multiple accounts, check memory and CPU usage and even get tips on improving your servers performance. The plugins section of Xtra Ultimate Edition adds even more value to the deal, adding 18 plugins and rising. 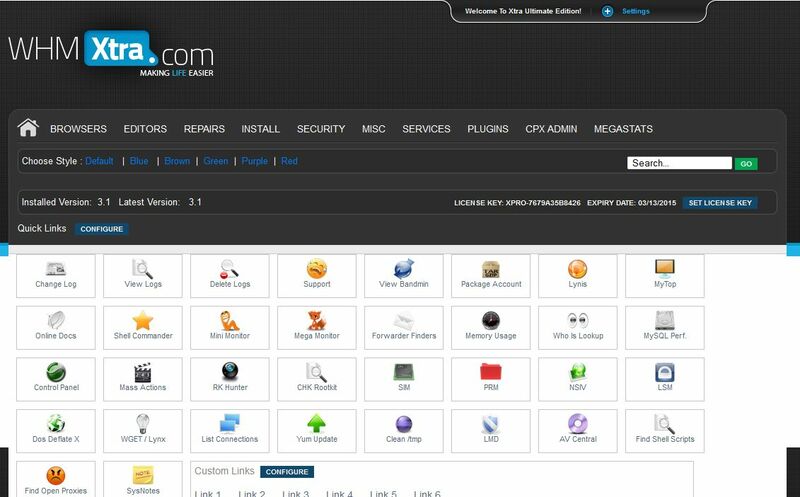 Add almost 2 dozen features to your end users cPanel with our cPanel Xtra plugin. Also you can monitor your server, keep tech notes, let your users change cpanel themes and more. Other plugins made by quality companies such as NDC Host provide you with even more valuable tools to save you time and money. And by making them installable via Xtra's point and click interface it's easier than ever to save yourself hours of time and frustration! Click the links on the right to check out all the features in each area of Xtra and included plugins.